I am a happy user of Toodledo, but like many other cloud services that I use, I prefer native experience whenever possible. 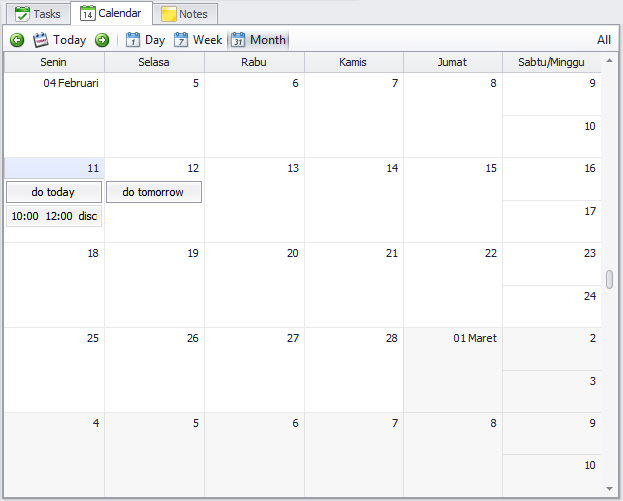 I use Thunderbird to open my Google mail and calendars. It just feels better to have the data being offline/cached and the user interface running significantly smoother and richer. So far I haven't found a good desktop client that I like for Toodledo. I settled with a very nice PocketInformant on iPhone and iPad but I haven't been so lucky yet to have things on the same quality on Desktop. Thus, long story short I decided to develop one named DesktopTodo. DesktopTodo is Todo list management application that run natively on MS Windows OS (Previously called Todo.Net when I first introduced it). It features modern interface and tight integration with Toodledo web service (although can still run as a standalone offline desktop application). Below is some screenshots and notes of the feature. 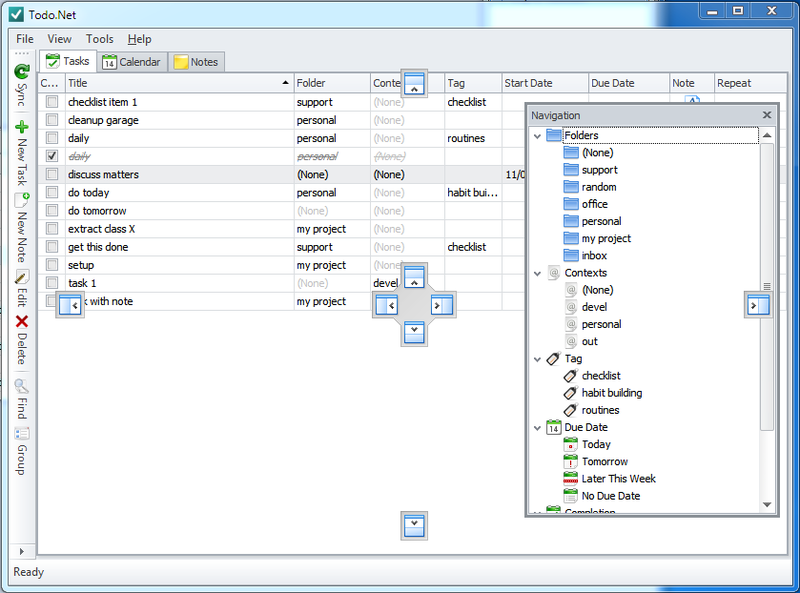 Here is the main windows showing task and field/column customization. You can drag drop to show/hide the column to your needs. 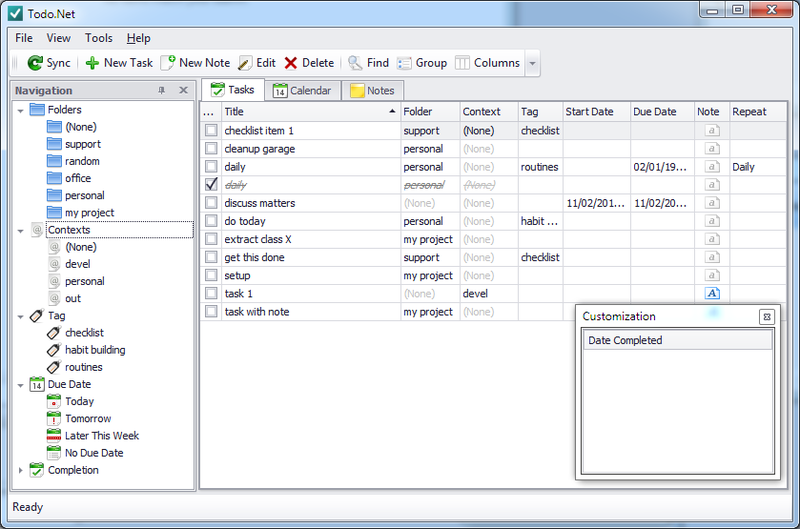 Folder, Context, Tag, Start and Due Date/Time, Recurrence, Note is supported. 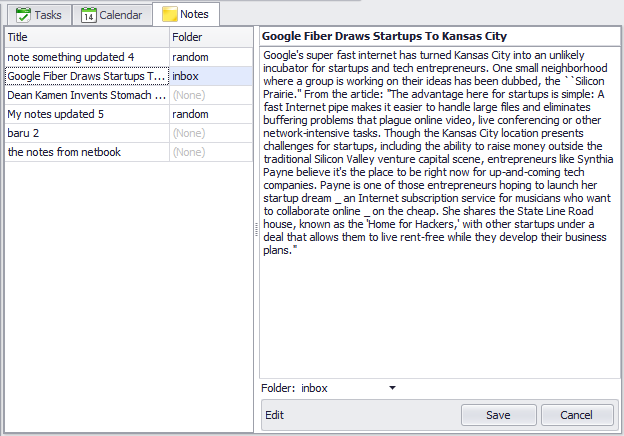 Editing can be made inline for speed or dialog based for completeness. I like the note feature in Toodledo so I include it. It's useful to take short notes and it feels integrated having on the same app/service. 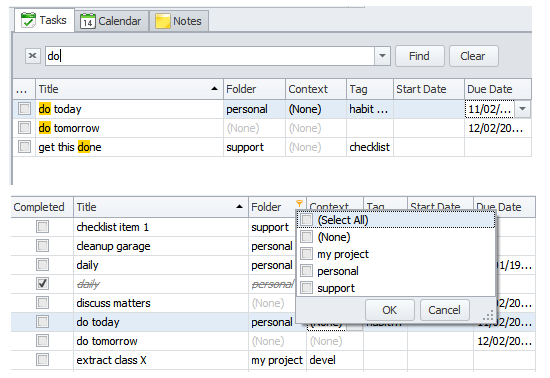 I find it useful to have the task laid out in Calendar view for some cases like In times when I want to see commitments and deadline in a more visual way. 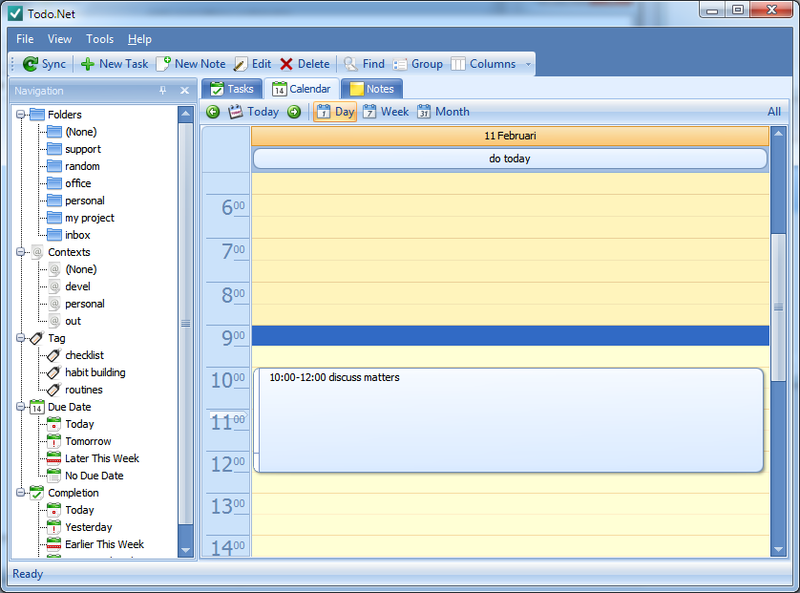 Also, being able to add new task directly on certain date box is helpful in certain planning situation too. So, it kind of a must-have for me. Live search. It search on every field in realtime. Grouping. It can do multilvel grouping.